Federal prosecutors have opened an investigation of child sexual abuse by Roman Catholic priests in PA, while multiple Congressional candidates debated last night. Here is the Playbook. PA8: Self-Funding Puts Chrin Close to Cartwright’s 3Q Fundraising Total: The candidates brought in nearly the same amount to their campaigns this filing period, but Cartwright enters the last full month with double the cash on hand. PA17: Lamb, Rothfus Discuss Climate Change, Gun Control, and More in 2nd Debate: Lamb said he was “very concerned” about climate change, while Rothfus criticized Obama-era regulations and the Paris climate accord. Speaker Ryan Goes to PA8: A spokesperson for Speaker of the House, Rep. Paul Ryan (R-WI) confirmed that Ryan visited PA8 on John Chrin’s behalf on Wednesday to show support for his campaign. 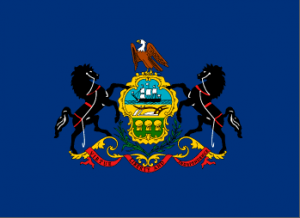 Billy Penn: Is Pennsylvania’s unemployment rate 20 percent higher than the national average? Not anymore. Billy Penn: Saxbys plans to give away free lattes for voting. That’s a nice idea — but also illegal. Philly Clout: Is Philly Democratic boss Bob Brady stiffing his party in the midterm elections? Standard Speaker: City stormwater focus of public forum Tue. Maria Panaritis: The Catholic Church owns the Pa. Capitol. Abuse victims saw that Wednesday night. Inquirer Editorial Board: Starbucks report says racism affects policing. Police disagree.